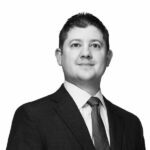 Ryan has over 19 years of experience and is a seasoned sales and relationship executive focused on delivering revenue growth, penetrating new markets and building strategic accounts in the Philadelphia market. He is currently the Regional Sales Leader for the Financial Services and Real Estate practices. five years of Big Four audit experience with KPMG. Ryan holds a BS in Accounting from Mount St. Mary’s College and an MBA from Loyola University.